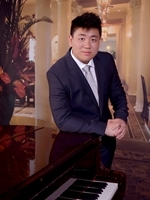 Benjamin He is an enthusiastic young professional musician having studied piano for over 18 years and worked as a piano teacher for the past 7 years. Ben has recently completed a Bachelor of Music (Performance) at the Sydney Conservatorium of Music. He is available to teach Piano, Musicianship and offer Accompaniment services. 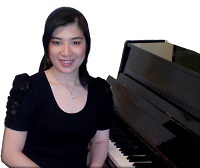 Cecilia is a piano and flute teacher with 10 years of private and classroom teaching experience. She graduated with a Bachelor of Music (Performance) and Music Education at the University of New South Wales and a Diploma in Kodály Concept of Music Education with Piano Pedagogy Specialisation and Musicianship from the Kodály Institute in Kecskemét in Hungary. Cecilia is committed to helping her many students improve their musical skills, play their instrument with a clear understanding of music and perform on a regular basis. A graduate of M. Mus (Performance) from the University of Auckland in Auckland, Doris is a pianist, oboist and music teacher with 12 years of teaching experience as a private tutor and in different music centres. She has performed extensively in various orchestras including Auckland Philharmonia Orchestra and as a solo pianist and an accompanist. 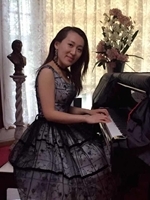 Originally from Beijing, Joanna is a classical-trained pianist and a qualified teacher of the Suzuki method. She completed her certificate of performance (Honours) and has performed extensively as a soloist and a piano accompanist. She believes that every child should have the opportunity to experience music. 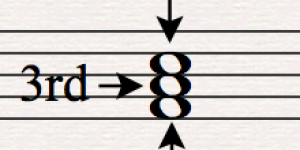 Music is a wonderful method for the development of character and confidence while providing a way for a child to bond with family, friends and the community. As Dr. Suzuki says, "Where love is deep, much will be accomplished"
Joanna can offer Suzuki or Traditional piano method, Wednesday and Sunday. She is also available as an accompanist and can speak Mandarin. 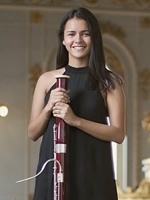 Sofia Obando Aburto is a talented and passionate young Costa Rican musician currently studying a Bachelor of Music Performance at the Conservatorium of Music, the University of Sydney. 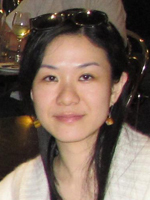 She has had experience with several teaching methods as an international student. Sofia uses her knowledge and learning experience to her advantage in her teaching, and is very committed to her students. She is available to teach Traditional Piano, Bassoon, Clarinet and Oboe.